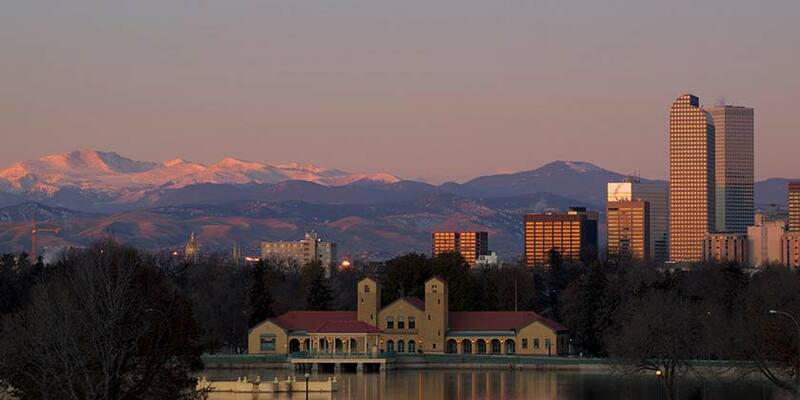 Nestled amid the Rocky Mountains and positioned exactly one mile above sea level, The Mile High City abounds with recreational activities both in the city and in the nearby mountains. Besides being a world-class ski destination, Denver boasts many distinct neighborhoods full of unique personality and atmosphere. Explore the lively bar and trendy restaurant scene of historic Lower Downtown (LoDo) or stroll along Denver’s iconic 16th Street Mall, a pedestrian-friendly stretch encircling 16 city blocks and teeming with great retail and dining establishments. For those who are interested in local libations, sample a pint at one of the city’s famous microbreweries. Denver Beer Co., Wynkoop Brewing Company, and Great Divide Brewing Co. are all located within minutes of each other. For thrill seekers and nature lovers, Denver offers endless outdoor activities like snowboarding, backpacking, hiking, biking, and extreme rock climbing too. If you’re looking for adventure, look no further than Denver. Resort info: Enjoy a relaxing stay and comforting amenities in a convenient location. Resort info: Enjoy an exceptional lodging experience at Hyatt Regency Denver at Colorado Convention Center. Resort info: A premier location just 4 miles south of downtown Denver in the heart of Cherry Creek, one block from the exciting Cherry Creek Shopping District. Resort info: Centrally located in downtown Denver. Adjacent to the 16th Street Mall and within walking distance of various convention and performing arts centers. Resort info: Towering above the Mile High City, the hotel's unique location features panoramic views of Colorado's Rocky Mountains and the gorgeous Denver skyline. Resort info: Located in the heart of downtown Denver, the hotel provides you with the most comfortable and convenient stay in the downtown area. Resort info: Hotel with separate sleeping and living areas with a mini-refrigerator, coffeemaker and shuttle service to and from the Denver International Airport.